Providing bed bug pest control in Bergen County NJ and Rockland County NY is one of our specialties. Most of us have heard the old bedtime saying “good night- sleep tight – don’t let the bed bugs bite” but the actual experience of “bed bugs” has not been that common in the U.S. for about fifty years. Prior to World War II, bed bug infestations were not unusual, but after the development of what were new types of pesticides, the overall problem of bed bugs declined significantly. Today, for a combination of reasons, bed bug infestations are on the rise. Possible contributing factors may be; changing demographics (increased immigration from countries where bed bugs are still common), increased travel in general, reduced use of pesticides in buildings, changes in the types of pesticides used, and inexperience of today’s pest control operators on how to deal with this “new” old pest that they have not seen for 50 years. Using their piercing-sucking mouth parts, common bed bugs feed on human blood just below the surface of the skin. Bites will leave white to red hard welts that itch intensely. Bed bugs feed at night, taking 3 to 5 minutes, then return to their harborage site located within a 10 to 20 foot area. They live about six months, feeding every few days but can withstand starvation for 10 months or more. Bed bugs can be found in all types of dwellings and transportation vehicles. They live in clusters, hiding in cracks and crevices, and may require extensive “hunting” to find their harborage sites. Eggs are laid in their hiding place – 200 to 300 by each female – and hatch in about a week. Clues to look for: Sites may be marked by brown or black spots of dried blood on surfaces where the bugs rest. Stages of the bed bug molt leaving behind cast nymphal skins. Large infestations create a sweet but foul smell, similar to ripe red raspberries. To get the best results from your treatment follow these instructions carefully. Bedbugs are expensive to treat. They are not easy to get rid of. Preparation is intensive and takes time. Do it right the first time and you may not have to do it again. towels, coats, anything fabric must be bagged, sealed, then washed and dried. then a hot dryer for 45 minutes. Sneakers and other clothing that can not be washed should go in the dryer for 45 minutes. Shoes that can not go in the dryer should be placed in zip lock bags. Leather coats and things that can not go in the dryer should be taken to the dry cleaner. **As things come out of the dryer, seal them in NEW clean bags. The old bags may be contaminated with bedbugs. Put the old bags in the trash outside the building. 2) Remove all clutter from the floor, out of closets and under the beds. Discard any unneeded items. Seal everything in zip lock bags. Carefully check each item as you bag it. **Bulk bags in different sizes can be found online or at some home goods stores. You will be placing a lot of things in zip lock bags. 3) Cardboard boxes or paper bags used as storage must be emptied and thrown away in the trash OUTSIDE the house. Items you are keeping should be bagged. Books should be zip lock bagged or tossed. Magazines zip lock bagged or tossed. Be sure you get a tight seal on these bags. 4) Pull the edges of carpeting away from baseboards. all over the rooms to be treated. Take drawers out of dressers and night stands. heating units and hardwood floors. When finished vacuuming, place the vacuum bag in the trash outside of the home. 6) Take pictures and anything hanging, off the walls, and turn around for treatment. 7) Remove outlet and switch plate covers for treatment. 8) Pull back dust covers on box springs and upholstered furniture. 9) Move all furniture at least 1 foot away from the walls. 11) Put Bed Bug Certified Covers on both the box spring and mattress. starvation. Proper covers are available through The Bug Runner. service is needed. Wait ten (10) days to judge the success of the treatment. If you are getting bites or see activity after 10 days call! Do not wait longer! Note: check bagged items carefully when unpacking, you do not want to bring bedbugs back after all your work and expense getting them out! agree to have my home treated for bedbugs by The Bug Runner. I have read and understand the above instructions and agree to comply. or discoloration to my furnishings that may be caused by the treatment. The Bug Runner Exterminating Co. Inc. 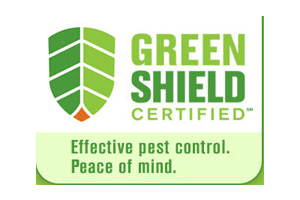 Serving customers with residential and commercial pest control in Bergen County NJ, Rockland County NY and Orange County NY since 1968.